University sustainability is a collaborative effort that relies on allies and advocates to cultivate a culture of sustainability. The Office Green Team Network connects those allies and advocates, empowering them with resources and connections to make incremental sustainable changes that add up to significant ones. 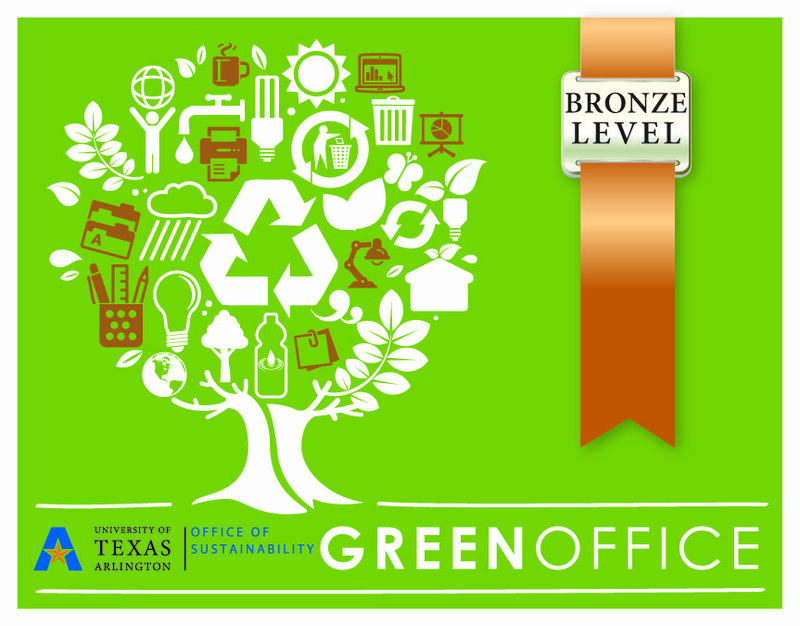 The Green Office Program goes beyond the typical environmental initiatives that many individuals, offices and departments at UT Arlington already support. This program takes a coordinated, long-term and campus-wide approach, providing resources, helpful guidelines and on-going consultation as needed. It also provides recognition to outstanding Maverick Green Offices. 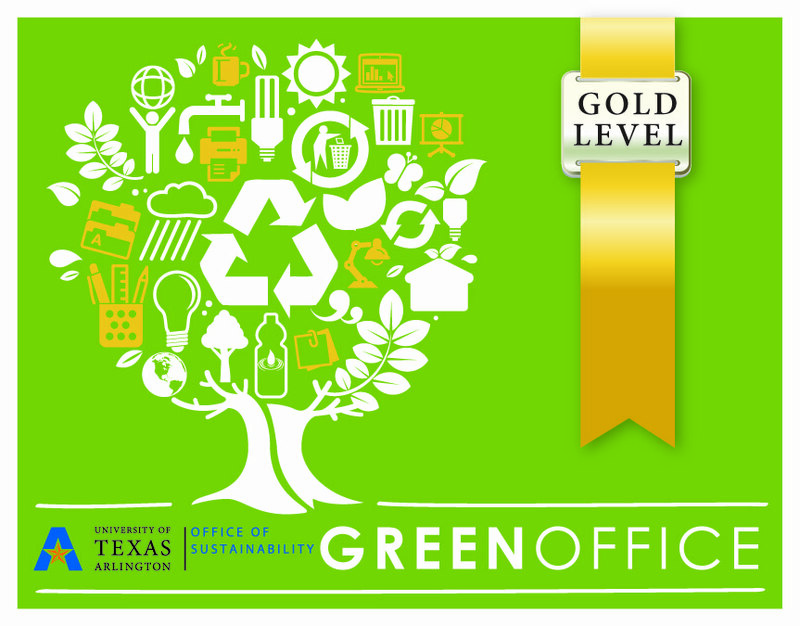 The Office Green Team Network is comprised of staff and faculty who are passionate about making UTA a more sustainable community. Our efforts to date have been substantial. 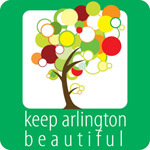 Many have taken the challenge to heart with individual commitments to recycling, turning off lights and computers at night, photocopying on two sides, and reducing water consumption. 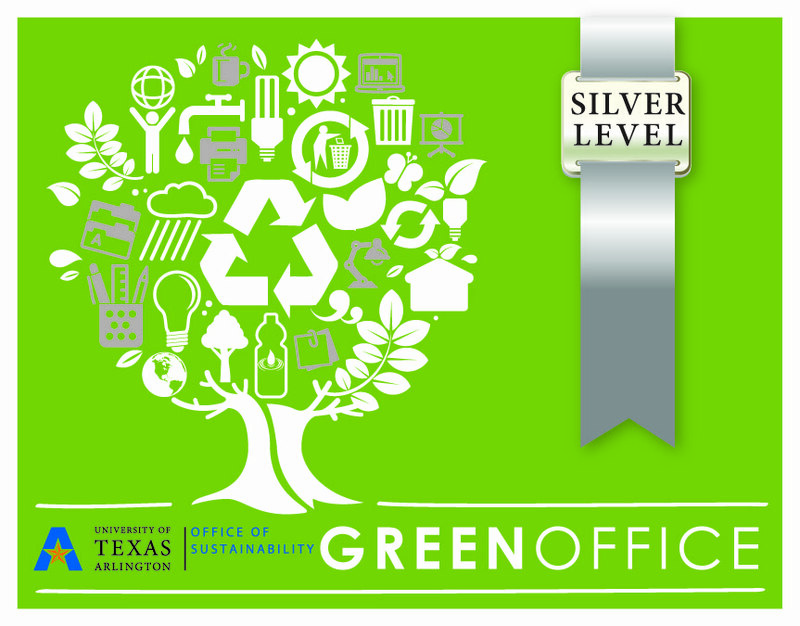 We are encouraging all departments and offices to take the next step by signing up for the Green Office Program. To qualify, your department will need to select initiatives that your office can complete. Implementing 5 initiatives qualifies you at the Bronze level, 10 initiatives qualifies you at the Silver level, 15 initiatives qualifies you at the Gold level and to qualify at the Platinum level requires Gold status plus the 3 Platinum initiatives. An Environmental Steward needs to be identified on the application as this person will be included on the Green Office list serve to receive notification concerning events on campus. 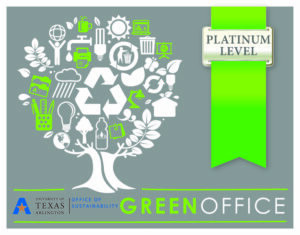 Once your level has been determined a sticker will be sent through campus mail to the department so that it can be displayed to show that you are a Green Office. Get involved today! 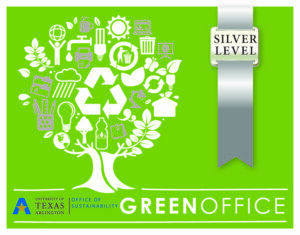 Learn all about the Maverick Green Office program and ways to go greener in your department. Visit the recycling and composting, purchase green, news and events, for opportunities to learn and earn Green Team points. 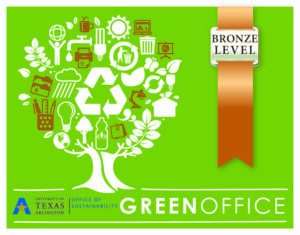 Thank you to all of the UTA Green Offices and groups for their dedication to sustainable business practices. 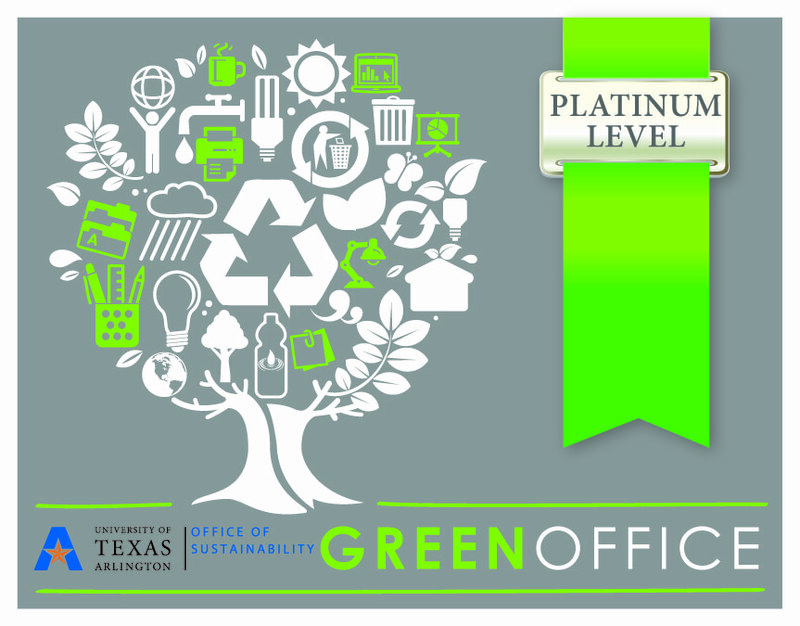 The School of Social Work is our first Platinum Level Green Office. They have developed their own logo which they use on team shirts that are provided to all team members. All employees in the School of Social Work have a reusable water bottle and coffee mug as well as a plant at their work station. Each year they have a Green Lunch on Fat Tuesday. Their lunch features sustainably sourced food that was organic and locally grown. Event the cups, plates and cutlery were 100% compostable. Their event was a Zero Waste event. The School of Social Work also has their own Facebook page. 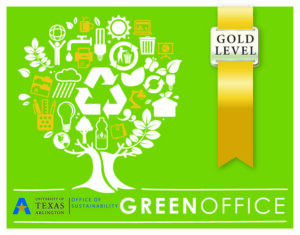 We salute the School of Social Work for being a dedicated Green Office.